I’m totally kidding! Most days this is how she wakes up. Yikes! Pass the coffee and the leave in conditioner! 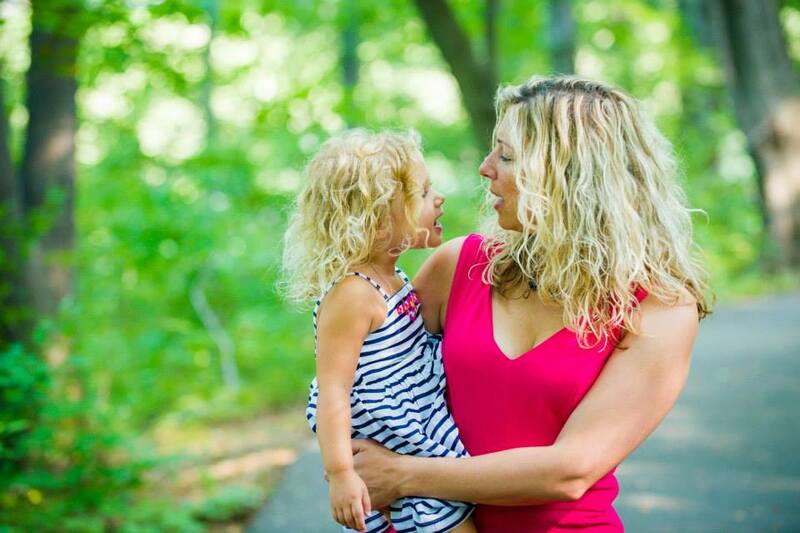 Just say NO to shampoo– For curly kids you need lots of moisture in their hair. We only wash my daughter’s hair every 2-3 days, and when she is due for a wash, we only use a moisturizing conditioner and skip the shampoo. Try shampooing just once a week for bouncy, fun curls. Throw in the Towel- Wrap your kiddos up in a fluffy towel when they get out of the tub, but keep that towel away from curly hair! Since curly hair is so fragile, a regular towel is too heavy for curls and can cause a lot of frizz. Instead, grab and old t-shirt and lightly dry their hair with the t-shirt. Bottoms Up- Detangle from the bottom and don’t start at the roots! This causes damage and frizz plus it just hurts! Instead, pile the hair on top of your child’s hair with a clip and work in smalls sections. Working an inch or two from the bottom of the hair near the neck, detangle with your fingers or the Wet Brush. Then move up a few inches and so on. As you finish each section, wrap the hair around your finger to help the curl bounce back. Morning Bounce Back- My girl’s hair always looks best right after a bath, but who has time for all that work in the morning? Not us! So we’ve created a new system to freshen up her curls. Using a spray bottle with water and conditioner wet the hair. Use your fingers or Wet Brush on hair that is tangled or fizzy. Grab small sections and wrap the hair in a spiral motion. This helps hair to bounce back and regain it’s shape. Air dry wet hair as much as possible, but if you’re in a hurry or for a little extra volume, flip hair upside down, use a hairdryer with a diffuser attachment (never without!) until hair is 80% dry. Too much heat is a no-no for curly hair. Coiled Care- Deep condition once a week but there’s no need to spend a fortune on expensive treatments. We just lather up the conditioner, put a fancy shower cap on, and let my curly kid play in the tub while those curls get the much needed moisture. Up Do Safety– Only use ribbon elastics for ponytails and braids. These will cause minimal damage and won’t get tangled in curly hair like regular hair elastics and rubber bands. Style Tips- When it’s time for a haircut, find a stylist that is comfortable and experienced with curly hair. This makes a HUGE difference, and I usually ask the salon manager for their recommendation. Also sometimes finding the right product takes a lot of trial and error, but stick to sulfate free shampoos and conditioners and think less is more when it comes to hair products. Right now we are using a light weight foam cream that is working well with her hair. I love her curls. I want her to love her curls. And I promise, no fluffy poodle mullets for either of us. Ever. I have that hair. I hated it when I was a kid and I still hate it to this day. Thank god for keratin. Both of you have just the most beautiful hair. I love your curls. I wish I had some! What I love so much about this is that you’re teaching your daughter to love herself. I don’t know when or where, but at some point, we women seem to want to change everything about ourselves! My hair is so straight. If I could get even a touch of those curls, I’d be a happy camper. What awesome tips! I love my sons curly hair and really hope my daughter comes out with beautiful curls! We will find out shortly! Ribbon elastics are one of the greatest inventions for curly haired people. I use them whenever I want to put my hair up. All of my kids have straight as a board hair. I love your daughter’s curls too! There are a lot of curls in my family so this is helpful! Those tangles could be a nightmare sometimes. She is absolutely ADORABLE!! I love her curly hair! I have curly hair UNDERNEATH my hair and then on top is straight. I have weird hair, LOL. Great tips, thanks! 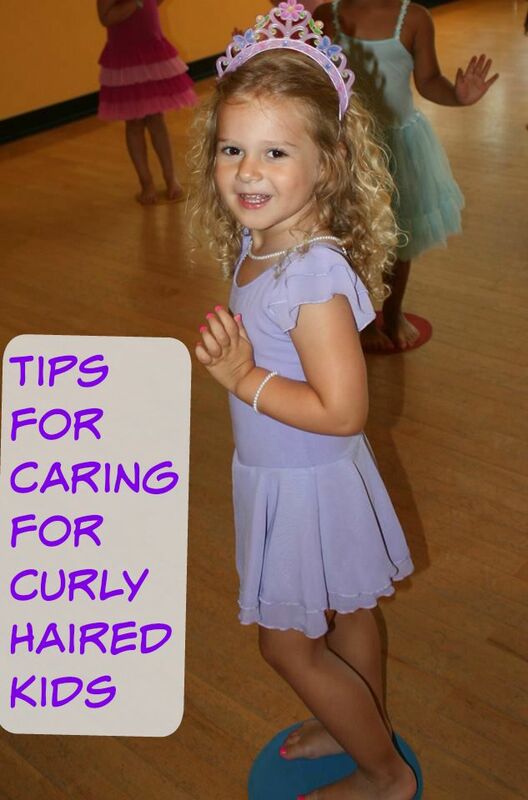 These are great tips and I love the curls. My hair is straight and so is my sons. I love both of your curls! So fun to grow up with a daughter and that you “get” her hair! My oldest has curls! I am printing out this list, thanks so much! I have battled curly hair my entire life! haha These tips are spot on! I still use some of these methods now! I’m sure your daughter will thank you for a mullet-free life. I love her curls! It’s great to know the best ways to take care of them. I am so glad I read this. 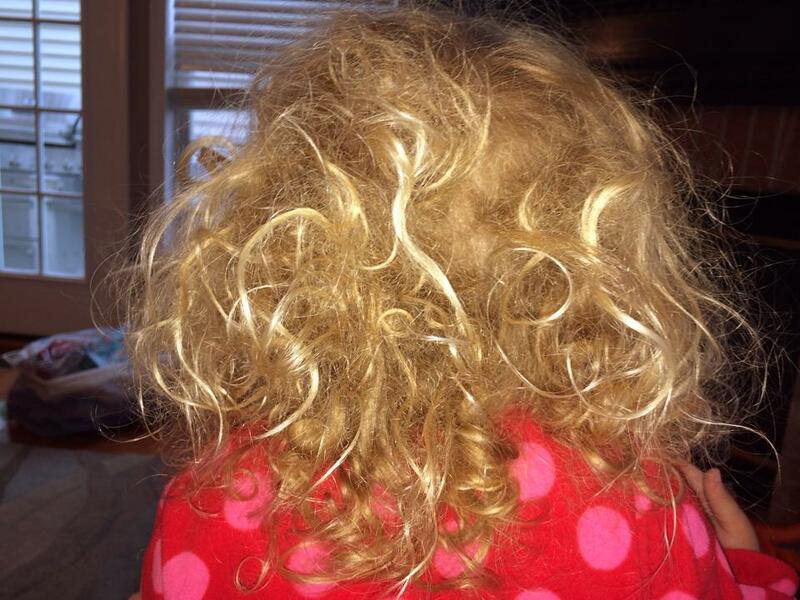 One of my 2 year old twins has hair just like your daughter’s and it’s a tangled mess. Definitely following your tips! My friend has two little girls with ringlets. It has been a struggle for her to keep their hair from knotting. I will have to share these great tips with her. Good advice….I have thick curly coarse hair. It is it’s own wild animal!